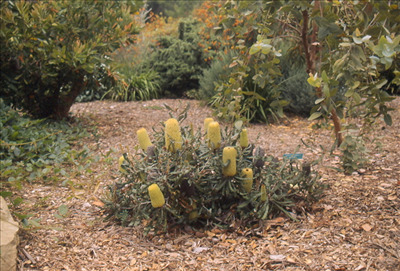 Handsome spreading shrub with dense foliage and creamy-yellow flowers in winter and spring. Flowers in 2 years from seed. Tolerant of frost and extended dry periods. Prefers well-drained soils in full or partial sun. 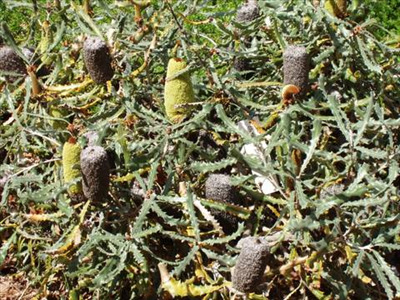 Grows well on the coast or inland (Ojai). Excellent container plant.